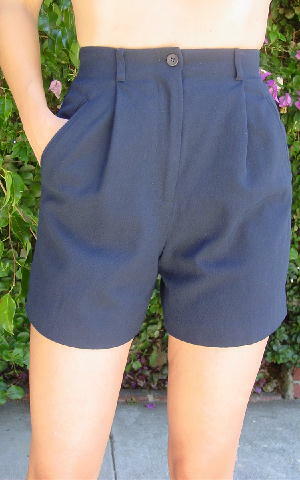 These dark blue 100% wool shorts are by Ann Taylor Petites and were made in the USA. They have a full plum color 100% acetate lining. There is a 5 3/4" long zipper fly and a 1 button waist closure. They have belt loops, angled front slit pockets, and 2 front pleats.